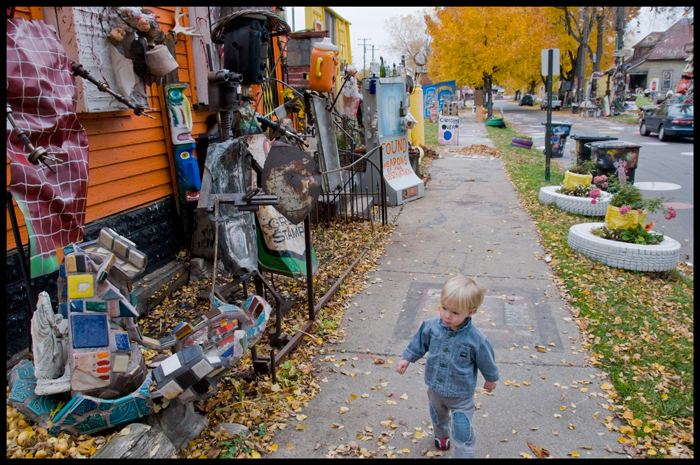 The Heidelberg Project is sort of like a tourist attraction around here, mostly hipsters and Europeans, but it's a great place for kids too. 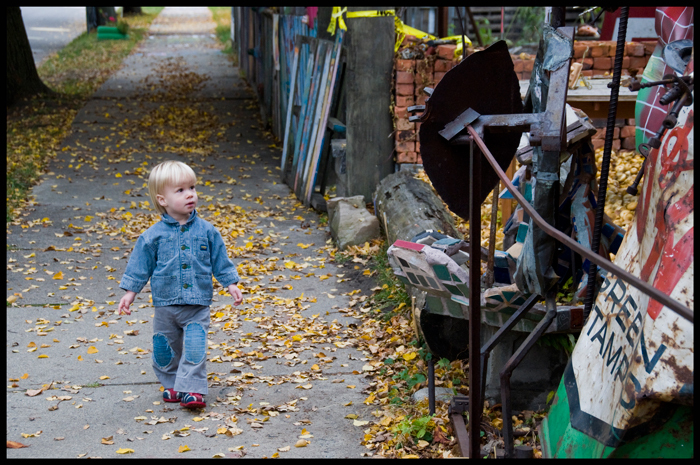 I've been bringing them here regularly since we moved to Detroit, and now my son is old enough to really get into it. 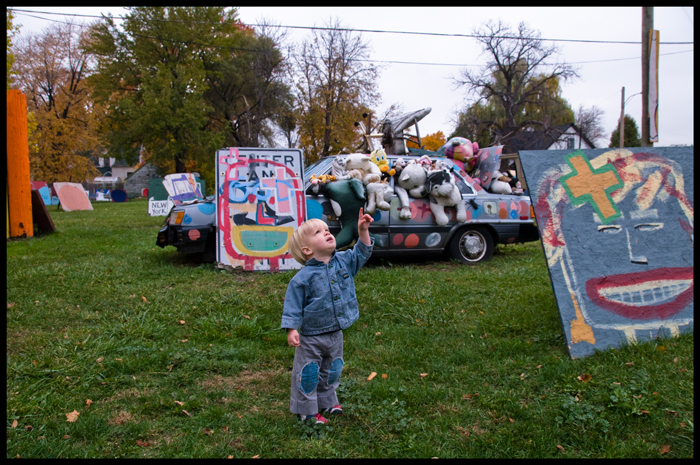 Tyree Guyton gets most of the attention for the project, but there's a guy who also lives there named Tim Burke who makes his own stuff there, and that's actually what my son prefers. I've talked with Burke and he's quite a character who's obviously battled some demons in his day. He welds some mean "robots" and collects a lot of interesting stuff out abandoned buildings (including a few hundred dental molds that he uses to give his robots mouths). The kid LOVES them.